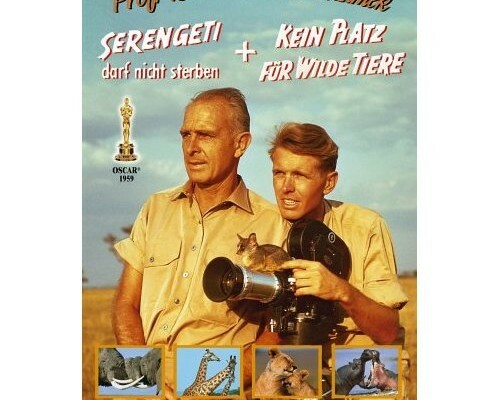 “Serengenti Shall Not Die” is a 1959 documentary film written and directed by Bernhard Grzmimek that highlights the efforts of Bernhard himself as well as his son, Michael Grzmimek, to preserve the Serengeti National Park in Tanzania. The movie also discusses threats posed to the Serengeti landscape stemming from human neglect and ignorance of its vast natural beauty. Boes, Tobias. "Political Animals: Serengeti Shall Not Die and the Cultural Heritage of Mankind." German Studies Review 36.1: 41-59. The German Studies Association. Web. 2013. <http://tobiasboes.net/wp-content/uploads/2011/01/04_GSR36.1Boes.pdf>.